Took me a while but I finally got around to making this. A few things got in the way, actually. So a strata is basically a bread pudding, and this savory version combines all the favorites of Thanksgiving, turkey, pumpkin, and stuffing. 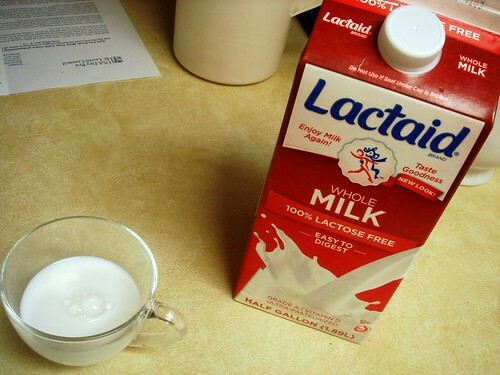 Using Lactaid, an easy to digest milk, enables those with lactose intolerance to enjoy as well. I used the Lactaid whole milk, which has a creamy taste. There was a little more sweetness than what's typically in milk, almost reminiscent of flavor of half and half. Usually you would use day old bread cubes for a strata. Instead, I cubed Nature's Pride whole wheat bread, tossed in a mixture of olive oil and butter that was sauteed with ground sage and minced garlic, then placed on a baking sheet to bake until toasted to make sage-garlic croutons. Meanwhile, I browned ground turkey with chopped onions, then mixed together with the finished croutons and mozzarella cheese. I'm sure the reason why you use day old bread isn't because someone was being frugal, it's because otherwise the bread would turn to mush. Mushy pudding, anyone? The custard comes together quickly by mixing together softened cream cheese, which adds an extra creaminess to the custard, with canned pumpkin puree, eggs, Lactaid, and some salt and pepper. Simply pour over the croutons and refrigerate overnight. 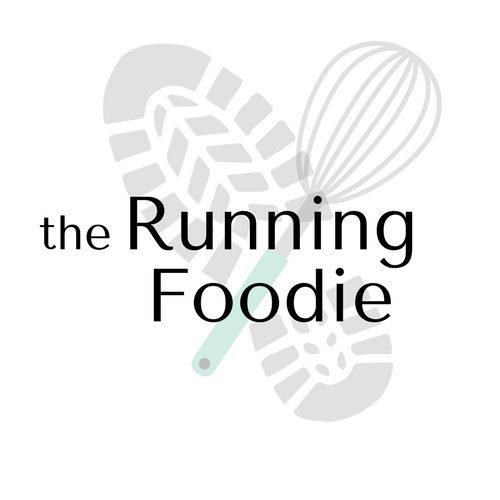 What's great about this recipe is that you can make it ahead of time to suit a rushed schedule. I ended up ladling the crouton-custard into another pan since it started leaking out of the spring form pan I originally had it in. For whatever reason, I decided to cover the bottom in foil before pouring anything in it so it wasn't too disastrous. Not even Lactaid would have prevented the acids from churning in my stomach over seeing dinner dripping over the floor, and I'm not even the one who's lactose intolerant. And here is the finished product. About 20 minutes from the end of baking time, I topped with coarsely chopped pecans and grated parmesan cheese, a nice finishing touch. The strata came out creamy and flavorful, a bit of sage in each bite. The whole wheat bread gives the dish a nice nuttiness, though you can't even tell it's whole wheat at all. 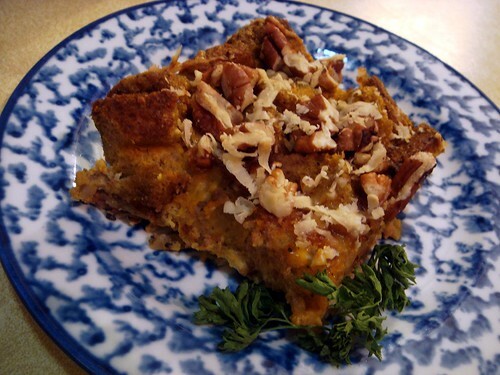 If you need dinner options for the hectic holiday season, or a great dish for a get together, try out this Pumpkin Turkey Strata. Preheat oven to 350°. Heat olive oil in large skillet over medium heat. Add onion and ground turkey. Season with red pepper flakes and pinch of salt; cook until turkey is browned thoroughly and onions are translucent. Set aside. In same skillet, heat 3 tablespoons olive oil and 3 tablespoons butter with half the garlic, ground sage, kosher salt and black pepper. Cook for a minute. Place half the bread cubes into skillet and stir to coat. Place on a rimmed baking sheet. Repeat the process for the remaining bread cubes. Once all the bread is on baking sheet, bake for 15-20 minutes, tossing halfway, until cubes are toasted and crisp. In a large bowl, mix cream cheese with pumpkin puree. Whisk in eggs, milk, salt, nutmeg, and white pepper. 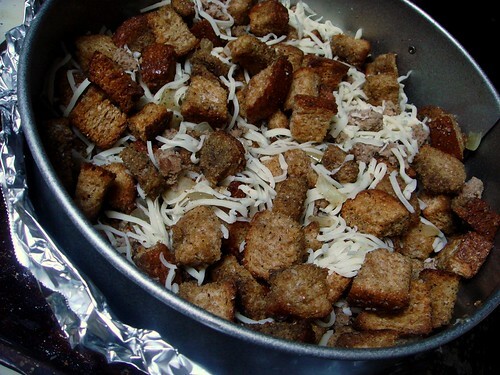 Mix together croutons with cooked turkey and mozzarella cheese. Place into a greased 13x9-inch casserole dish (make sure dish can transfer directly from fridge to oven without breaking). 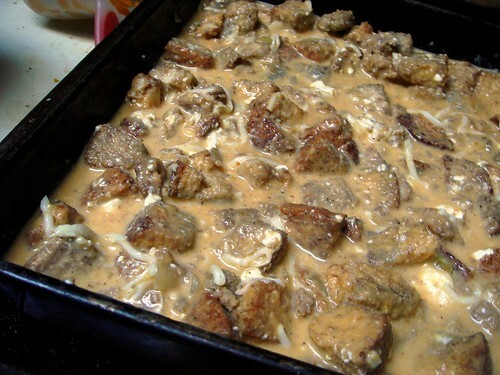 Pour pumpkin custard mixture over croutons. Cover with plastic wrap and refrigerate overnight. Preheat oven to 350°. Remove strata from fridge and uncover. Cover with foil and bake for 1 hour. Uncover and top with pecans and parmesan cheese. Continue baking for another 20 minutes, then check to see if knife inserted in center comes out clean. If not, continue baking for 10 minutes before checking again. Remove from oven and let set for 10 minutes before serving. this sounds SOOO good, I love stratas! Hahahah I love the video!